On the 4th April 1996 I heard a broadcast on BBC by Martin Bell who was signing off as the BBC war correspondent. In that broadcast, he reflected on the tragedy of Bosnia and the siege of Sarajevo. In response to this broadcast, I made an artist’s book, , With the Melting of the Snows and produced an installation of bronze pieces Abandoned Landscape 1998. in which I tried to image the siege of Sarajevo . 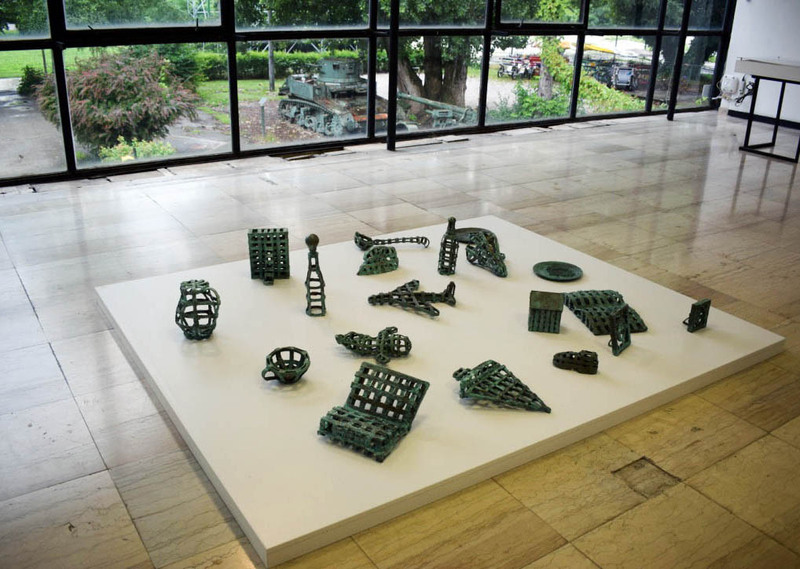 The installation consists of 18 bronze pieces, skeletal objects in the form of everyday objects that might be left behind, a doll, a book, a bottle etc. 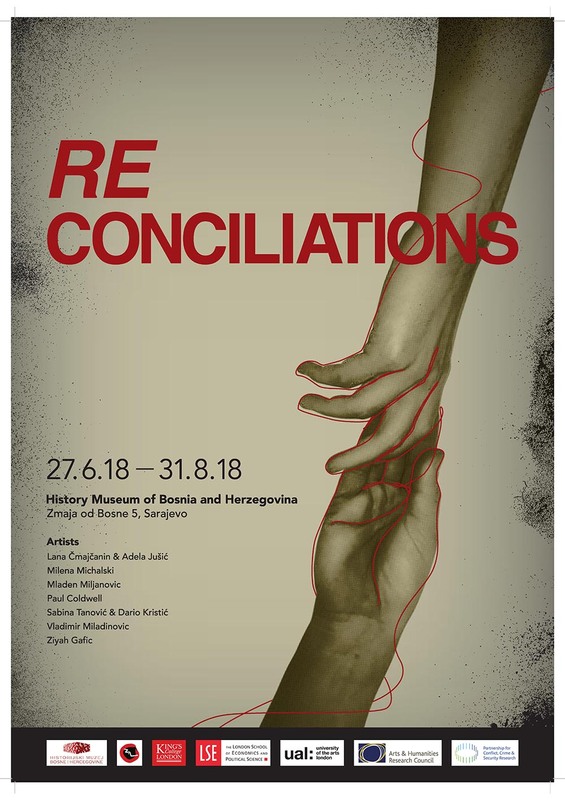 Twenty years later, visited Sarajevo for the first time and as a response to, the collection in the History Museum of history, the people I met and stories that I was told, I have made two new works. 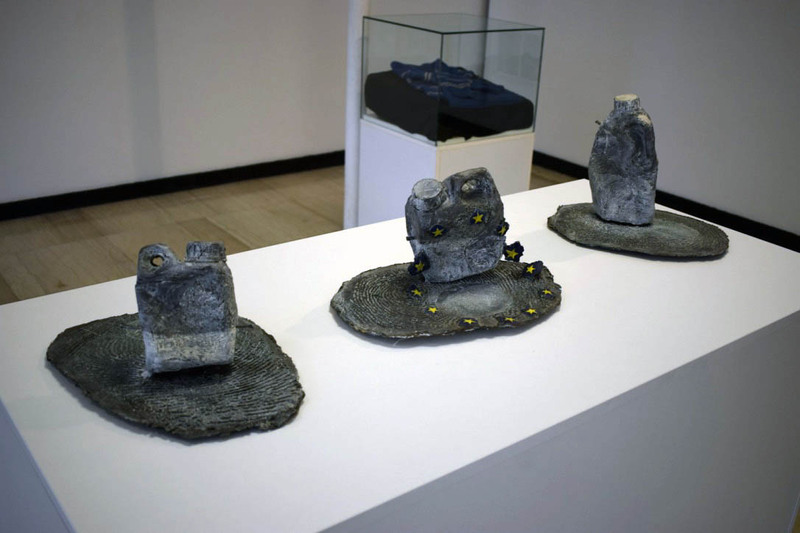 The first is a direct reaction to the story surrounding the sweater in the collection, that worn by Nermin Divović and a photograph of him playing wearing the sweater a year before a sniper’s bullet killed him, 100 yards from the Museum. Nemin’s story is made poignant for the fact that his life was suddenly terminated at 7 years old, an age that having survived the natural risks of birth and the early years, would have expected a long life, school, playing football, a job, falling in love, a family of his own and even beyond as a grandparent. 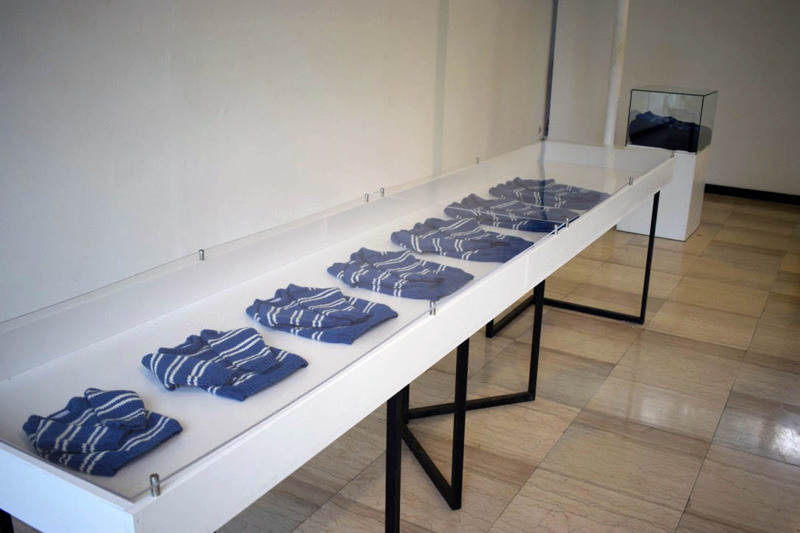 I wanted to capture this loss and wanted to memorialize his life through a series of sweaters, entitled A Life Measured; Seven sweaters for Nermin Divović one for each year of his life. The sweaters were knitted for me by Carole McDavid, a lady living in rural Wales. A further element that attracted me in the collection was the importance of collecting water in the siege. During my visit to Sarajevo, in the company of Paul Lowe, I visited EdinNumankadic in his studio on the top floor of one of the social housing projects. He told me a joke; that a man was crossing Sniper’s Alley with plastic bottles to collect water when a sniper shot his bottles, so the water poured out. The man screamed at the sniper, don’t shoot the bottles, shoot me!!!!!!. Here in the black caverns of humour, lies a sad truth that without water we are dead anyway. 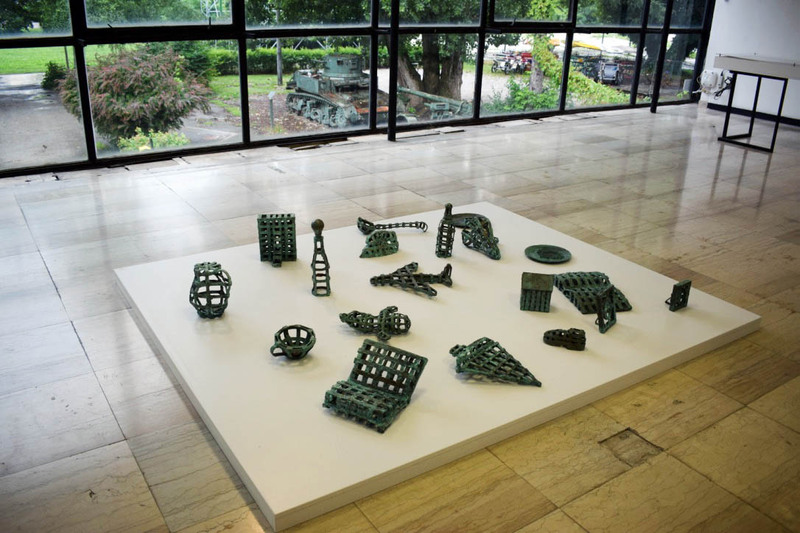 In response to this, I made three small bronze sculptures of damaged plastic bottles on landscapes of fingerprints entitled Three Bottles for Sarajevo (for EdinNumankadic).